Origin: Bred by Dr. Griffith J. Buck (United States, 1976). 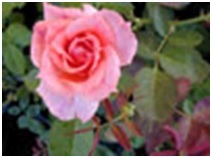 Bloom: Double (17-25 petals) bloom form. Occasional repeat later in the season. Interesting Facts: Resistant to disease.